:: Alumni news: 10,000 More Members! “Learning should be an unending process,” said Don Bushaw in an interview some years back. Anyone who knew him at all will know this was no idle observation. 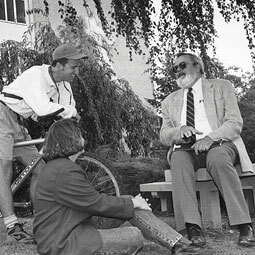 Bushaw, who first arrived at Washington State College in 1943 as a 17-year-old freshman and returned, a doctorate in mathematics from Princeton in hand, to teach and lead for a distinguished 43 years, passed away in Portland, Oregon, on January 15, 2012, surrounded by his wife and children. Don Bushaw was born in Anacortes, Washington, on May 5, 1926, to Elmond and Ruth Bushaw. The family moved to Bremerton in 1930 when Elmond took a job at Puget Sound Naval Shipyard. Bushaw graduated from Bremerton High School in 1943 and entered Washington State College. After serving for two years in the U.S. Navy, he returned to WSC, where he met and then married Sylvia Lybecker ’47 in 1946. 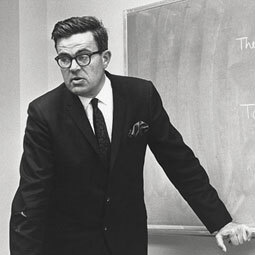 Don graduated from WSC with a degree in mathematics in 1949, and went on to graduate school at Princeton. At Princeton, he studied under Solomon Lefschetz, who during the early Cold War believed that the United States lagged behind in aspects of differential equations most relevant to missile technology. Bushaw’s resulting dissertation opened up the new mathematical discipline of control theory, which has many ramifications for national defense. Bushaw, with his family, returned to Pullman in 1952 as a mathematics instructor, climbing the academic ranks to full professor in 1962. 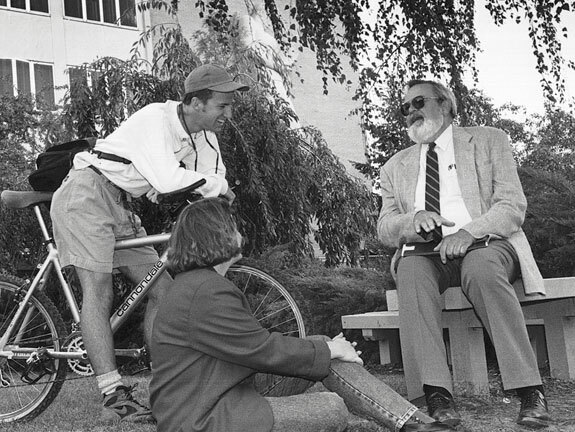 During his 43-year tenure at WSU, Don served as mathematics professor, mathematics department chairman, acting director of libraries (twice), and vice provost for instruction. He taught 62 different courses in mathematics. He also taught a University Honors class on Eastern civilization. His research and writing ranged widely, encompassing control theory, differential equations, topology, and mathematical economics, as well as mathematics education, the history of mathematics, and mathematical biographies. 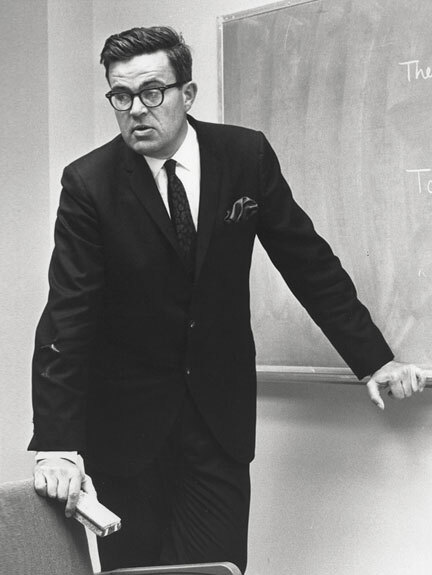 Among many other awards, Bushaw delivered the Faculty Invited Address (1968) and was the first recipient of the WSU Faculty Excellence Award for Instruction in 1983. Apart from the time Don spent on family and professional activities, he had a passionate lifelong interest in traveling and learning languages. He had good friends all around the world. He also translated books and research articles in a variety of languages, including Russian and Chinese. Don is survived by his wife of 65 years, Sylvia, and his sister, Shirley Hanson of Gig Harbor. He leaves daughters Amy Bushaw and Margaret Parker of Portland, sons Bruce ’74 of Richland, Gordon of Silverdale, and Tom of Kennewick. He also leaves three grandsons, Brice Bushaw, Neal Bushaw, and Robert Parker, and his great-granddaughter Natalya Parker. Remembrances can be made to the Donald W. and Sylvia R. Bushaw Scholarship in the Glenn Terrell Scholarship Program at Washington State University.